Because of its shy nature and the challenges of fieldwork in the forests of the Democratic Republic of Congo (DRC), obtaining accurate and up to date information on the okapi - or 'forest giraffe' - has been a major conservation challenge. In 2010, ZSL started a collaborative effort to carry out the first range-wide conservation status review of this little-known but iconic species. This research led to the reassessment of the okapi as Endangered on the IUCN Red List of Threatened Species and laid the foundations for the development of the first okapi conservation strategy, which outlines the conservation measures to be taken to ensure the persistence of this species in the future. Okapi were first discovered (by a ZSL fellow) in Virunga National Park in eastern Democratic Republic of Congo: the oldest and most biodiverse national park in Africa. Virunga was the first African protected area listed as a UNESCO natural World Heritage Site, but as a result of civil conflict was re-listed as a World Heritage Site in Danger in 1994. Since 2001, ZSL has worked to rebuild the capacity of the Congolese conservation authority, ICCN, to restore the long-term integrity of the park and other protected areas in the okapi’s range. Sadly, as a result of political unrest across the okapi's range and tragic attacks on staff and okapi in the Okapi Wildlife Reserve where we were working at the time, ZSL was forced to suspend operations on the ground in DRC in 2013, but continues to support okapi conservation efforts as co-host of the IUCN SSC Giraffe and Okapi Specialist Group (see below). In 2008 ZSL and the Congolese conservation authority, ICCN, surveyed the Watalinga forest in northern Virunga National Park and reconfirmed the presence of okapi in the park, not officially recorded since 1959. In doing so, the team captured the first ever camera trap images of a wild okapi. ZSL investigated the threats faced by the Watalinga okapi population and concluded that its local extinction was likely unless immediate conservation action was taken. A rehabilitated road cutting through the park had allowed increased pressure from deforestation and hunting for meat and skins. In 2010 ZSL and ICCN launched a major collaborative project to assess the status of okapi across its range and develop a strategy for its conservation. Collating historic and current okapi survey data and carrying out genetic analyses has allowed us to understand the distribution, abundance and threats to okapi across its range. This has facilitated the development of new tools to monitor okapi, underpinned the reassessment of the okapi as Endangered on the IUCN Red List and enabled the development of the first ever okapi conservation strategy and status review, guiding actions for a ten-year period from 2015-2025. We also trained staff from ICCN and partner organisations to build capacity for future okapi management. A workshop was held in May 2013 in DRC with multiple stakeholders from across the okapi’s range to develop this strategy. Joint ZSL Institute of Zoology and Cardiff University PhD student Dave Stanton carried out a pioneering study of okapi genetics as part of ZSL's range-wide okapi conservation project, using current and historic dung, skin and bone samples collected with the help of museum and field partners across the okapi's range. He found that okapi are genetically both distinct and diverse, probably as a result of periods of forest fragmentation and expansion in the Congo Basin in the ancient past. His work also confirmed the presence of the okapi on the west bank of the Congo river, provided new information on individual movements, barriers to dispersal and ecology of okapi, and uncovered the relatedness between captive okapi and to those in the wild. Finally, he found that field teams often confused okapi dung with that of the bongo, which has serious implications for the accuracy of dung-based okapi population surveys! Such insights are invaluable in informing future conservation efforts. The Ituri Landscape harbours the largest remaining population of both okapi and forest elephants in DRC. Unfortunately, even in its namesake core protected area, the Okapi Wildlife Reserve (RFO), populations of both species are declining and threatened by poaching and the impacts of illegal mining. Following a brutal attack by armed poachers on the Reserve headquarters in 2012, killing 7 people and all 14 okapi housed there and destroying infrastructure and equipment, ZSL is working with the Wildlife Conservation Society to help ICCN restore the integrity of RFO and implement SMART, a protected area management system which enables managers to put rangers where they are most needed and to monitor the impacts of their patrols so they can adapt patrol effort accordingly. In March 2013 the IUCN SSC (Species Survival Commission) Giraffe and Okapi Specialist Group was formally established. The aim of the group is to attract and strengthen international support for giraffid conservation, provide technical advice on giraffe and okapi and provide an official forum to support strategies to conserve these species. The two co‐chairs for the group are Dr Julian Fennessy from the Giraffe Conservation Foundation (for giraffe) and Dr Noëlle Kümpel from ZSL (for okapi). To find out more go to www.giraffidsg.org. In 2008 the first full pictures of the elusive okapi in the wild were captured by camera trap during ZSL-ICCN field surveys in the Watalinga (Semliki) forest in the north of Virunga National Park in eastern DRC. View them in our image gallery. The okapi (Okapia johnstoni), a close relative of the giraffe, is endemic to the tropical forests of central and north-eastern Democratic Republic of Congo (DRC). It is listed as Endangered in the IUCN Red List (following an assessment led by ZSL in 2013). ZSL's relationship with the okapi dates back to its official discovery in 1901 by a ZSL Fellow. The size of a small horse, the ‘forest giraffe’ has a chocolate brown coat with distinctive white stripes on its legs and hindquarters, and a 30 cm long, purplish-blue tongue adapted for browsing trees like its better-known cousin. ZSL is leading this range-wide okapi project on behalf of ICCN (Institut Congolais pour la Conservation de la Nature), and relies on the efforts of multiple partners working across the entire okapi range and beyond, including the Okapi Conservation Project, Wildlife Conservation Society, Lukuru Foundation and University of Cardiff. The project has been generously funded by the UK government's Darwin Initiative, the US Fish and Wildlife Service, the Mohamed bin Zayed Species Conservation Fund, the European Commission, the Natural Environment Research Council, SOS – Save Our Species and Fondation Segré. You can see okapi for yourself at ZSL London Zoo. 16 December 2016: We take a stroll around ZSL London Zoo’s giraffe and okapi exhibits during a Reuters Facebook Live interview, where ZSL’s Dr Noelle Kumpel explains why giraffe act as an indicator and poster child for wider conservation and development issues, including the okapi. Watch again here. 8 December 2016: With less than 100,000 giraffe now estimated to remain in the wild – a 36-40% decline in 30 years - IUCN has announced that giraffe are now threatened with extinction. Experts from the IUCN SSC Giraffe and Okapi Specialist Group have reassessed the giraffe as ‘Vulnerable’ on the IUCN Red List of Threatened Species, up from the category of ‘Least Concern’. Read the newstory, and learn more about how these iconic megafauna are disappearing before our very eyes, and what you can do, in a blog by ZSL’s Dr Noëlle Kümpel, co-chair of the Specialist Group. 18 October 2016: Join us in celebrating the inaugural World Okapi Day, spearheaded by the Okapi Conservation Project and zoos around the world to raise awareness of this amazing animal as well as support for okapi conservation efforts in the wild! Find out more. 5 September 2016: At the IUCN World Conservation Congress in Hawaii today, the Director General of ICCN, Dr Cosma Wilungula Balongelwa, joined Dr Noëlle Kümpel from ZSL and the IUCN SSC Giraffe and Okapi Specialist Group to hold an event on ‘Conserving the elusive forest giraffe’. This highlighted the decline of okapi in the wild and international, collaborative efforts to counter this, such as the new Lomami National Park, World Okapi Day and the ten-year IUCN/ICCN Okapi Conservation Strategy. Find out more here. 22 August 2016: Ahead of the IUCN World Conservation Congress to be held in Hawaii, 1-10 September 2016, IUCN Members have voted comprehensively to endorse Motion 008 on ‘Giraffids:, reversing the decline of Africa’s iconic megafauna’, led by ZSL with the support a large number of co-sponsors, including ICCN, the only country in the world where both giraffe and okapi are found. Join us in helping to raise awareness and support conservation efforts to tackle the plight of both giraffe and okapi in the wild. Read more here. 12 July 2016: On 7 July the DRC government formally decreed the 9000 square kilometre Lomami National Park, granting protection to a remote, relatively unscathed area home to an abundance of wildlife, much of it rare and endemic, including okapi. This is the first Congolese protected area to be set up in a participatory manner, involving all levels of the community and administration, from village to province to national entity, thanks to the coordination of the project and the strong support of ICCN. Learn more here. 21 June 2016: Join our giraffid cousins in supporting World Giraffe Day, an exciting annual event initiated by our co-hosts of the IUCN SSC Giraffe and Okapi Specialist Group, the Giraffe Conservation Foundation, to celebrate the longest-necked animal on the longest day or night (depending on which hemisphere you live!) of the year – 21 June – every year! Find out more here. 18 February 2016: We are excited to announce that the IUCN/ICCN Okapi Conservation Strategy and Status Review, produced with the support of ZSL, the IUCN SSC Giraffid and Okapi Specialist Group and a huge number of partners and donors, has now been officially published and printed in English and French! This is the first-ever coordinated global strategy focused on this unique and elusive species, highlighting that while we still have much to learn in terms of its ecology and conservation status, it is severely threatened by habitat loss, poaching, armed conflict and increasingly the destruction of its forests by extractives activities. Among other things, the strategy calls for urgent government and international commitment to support the integrity of key Congolese protected areas from armed militia and illegal extractives activities. Read more here. 21 August 2015: For the first time there was a full session on okapi conservation at the biannual international meeting of giraffid specialists, Giraffe Indaba III, held in South Africa at the Southern African Wildlife College (Hoedspruit) 23 – 28 August 2015. ZSL’s Dr Noëlle Kümpel presented an update on progress towards the okapi conservation strategy, an overview of Dave Stanton’s genetics work and a poster on behalf of ICCN on efforts to restore the integrity of the Okapi Wildlife Reserve. Find out more. 18 August 2015: The Mercury (Durban, South Africa) has published two articles that highlight alarming declines in giraffe and okapi numbers, which raise major concerns for the conservation of these two emblematic species in Africa. Read them here. 29 June 2015: ZSL and other members of the African Natural World Heritage Sites Support Network attending the World Heritage Committee meeting in Bonn, Germany, call for strengthened provisions with the Convention and by States Parties to support the protection of World Heritage sites from extractives activities. Read the statement. 24 April 2015: A special issue of the African Journal of Ecology focusing on Giraffids includes a policy piece where Dr Noelle Kumpel and Dr Julian Fennessy - co-chairs of the IUCN SSC Giraffe and Okapi Specialist Group - draw attention to the ‘silent extinction’ of two iconic African cousins, the giraffe and the okapi, and an article with updated information on the distribution and population status of the okapi by a team from ZSL. You can download the policy paper and the okapi status paper free until 31 May 2015, so be quick! Read more details here. 20 February 2015: The Oscar- and BAFTA-nominated documentary film VIRUNGA, supported by ZSL and executive produced by Leonardo DiCaprio, has focused global attention on the irreplaceability but numerous threats facing Virunga National Park in eastern Congo, a natural World Heritage Site. In this blog, we ask, if we can’t protect these critically important areas, which cover less than 1% of the globe, what can we protect? 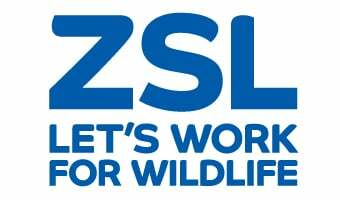 18 November 2014: ZSL joins forces with 8 other world-leading conservation organisations to call for urgent action to protect natural World Heritage sites from industrial mining, oil and gas activities. Read the statement. Download the policy brief on extractives and World Heritage sites. Learn more about ZSL's work on World Heritage. 11 June 2014: The British oil company, SOCO, releases a statement announcing that following its existing programme of exploration, it will withdraw from Virunga National Park in DRC – and also: “commits not to conduct any operations in any other World Heritage site”. However, the proviso “not to undertake or commission any exploratory or other drilling within Virunga National Park unless UNESCO and the DRC government agree that such activities are not incompatible with its World Heritage status”, does not quite close the door in the case of Virunga. Read more here. 28 May 2014: PhD student Dave Stanton passes the viva for his PhD study of okapi genetics as part of ZSL's range-wide okapi conservation project - congratulations, Dave! May 2014: Renowned author Louise Doughty was joined in ZSL London Zoo's giraffe exhibit by ZSL’s Noëlle Kümpel in the first of the year’s ‘Writer’s Talks’, chaired by poet and ZSL Fellow Ruth Padel, on the romanticism and the realities of okapi conservation on the ground. 26 November 2013: Following a reassessment of the species’ conservation status at the May multistakeholder workshop, the okapi is announced by IUCN as ‘Endangered’ on its Red List of Threatened Species, triggering substantial media interest. Read more on our website, in the Independent, and on the IUCN website. 19 September 2013: Emmanuel De Merode receives ZSL's inaugural 'Conservationist of the Year' award on behalf of the rangers of Virunga National Park. 2 August 2013: Draw the line' campaign is launched to stop oil exploration in Virunga National Park. 22-25 May 2013: Following months of planning and preparation, ZSL and ICCN hosts a multi-stakeholder okapi workshop in Kisangani, DRC, to develop the first-ever species-wide conservation strategy for the okapi. The workshop highlights that the okapi is faring worse than scientists previously thought, threatened throughout its range by the presence of dangerous rebels, elephant poachers and illegal miners, and participants agree on actions needed to secure its persistence in the wild. Read our blog. 27 March 2013: The IUCN SSC Giraffe and Okapi Specialist Group is formally established, with Dr Noelle Kumpel of ZSL co-chair for okapi. Read the announcement here. 24 June 2012: A shocking rebel attack takes place at the reserve headquarters and nearby village of Epulu in the Okapi Faunal Reserve in north-eastern Democratic Republic of Congo (DRC), a key field site for ZSL's collaborative range-wide okapi conservation project. Learn more in our news story, and our blog. The okapi was first discovered by the western world by ZSL fellow, Sir Harry Johnston, in 1901 but what else do we know about this extraordinary and shy creature? The only place in the world that you can find a wild okapi is in the dense tropical rainforests of the Democratic Republic of Congo. It is hardly surprising then that they are the country's national animal and even feature on local bank notes. The okapi tongue is purplish-black, prehensile and reaches 30cm - that's long enough to lick its nose, ears and even its eyes. The dark colour protects the tongue from getting sunburnt as it curls around branches and vegetation, pulling it into its mouth to eat. Zebra-like stripes on the okapi’s legs and bottom are thought to be a key part of its fantastic camouflage as well as a way to help the young to follow their mothers through the thick forests. Being unique to each individual, these stripes also help conservationists to monitor their activities and population size by capturing images of the animals on remote ‘camera traps’. Male okapi have furry horns on their heads called ossicones, a bit like the giraffe’s horns, though these are found on both male and female giraffe. Okapi have large ears they can point in different directions to detect dangerous predators such as the leopard. Okapi are shy and usually harmless herbivores threatened by deforestation, poaching, armed conflict and illegal mining that has caused their population to drop dramatically in recent years. Having reassessed the species as ‘Endangered’, ZSL worked with IUCN, ICCN (the Congolese conservation authority) and a wide range of other partners to develop the first ever long term Okapi conservation strategy aimed at keeping the Okapi from extinction. Until recently there were thought to be between 10,000 and 35,000 okapi left in the wild. However, as this wide range suggests, it is very hard to know for sure as they are so difficult to survey in the wild, though experts estimate that their number has halved in the past 25 years. The first wild photos of the okapi were taken by ZSL camera traps in 2008, reconfirming the presence of the okapi in the very spot where the species was first described, by ZSL over 100 years before. The very first image of an okapi captured by camera trap in Virunga National Park in 2008, during joint ZSL-ICCN surveys. As you may have gathered, okapi are incredibly hard to see in the wild. Even for field researchers lucky enough to spend time in the okapi’s native rainforests, the best chance of seeing a real, live okapi is probably in a zoo like ZSL London Zoo!